Corrugated plastic yard signs are made from 4mm polypropylene. 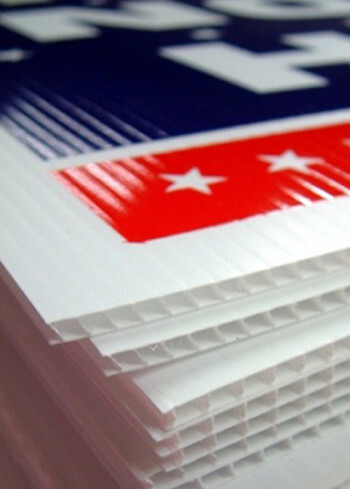 This durable plastic is printable on one or two sides. Standard installation is a wire stand, which slides into to openings (flutes) and then into the ground. Life span of this material is 18-24 months outdoors. It can usually be used in more than one campaign cycle. 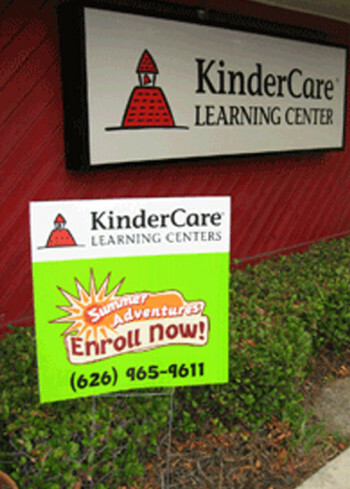 This material is also used for large format signage.